Every year, I’m in the running for Mom of the Year until January 15th then throw in the towel since there is always next year (true Cubs fan). I always joke about being Mom of the Year and discovered that it’s real thing: Mother of the Year. This recognition awards an “admirable” mother was made to provide an inspiration to the nation who would represent a mother’s unconditional love, inner strength, and courage. I know lots of hustling mama’s that we can nominate (next year)! The purpose of our blog is to help other women know that they are not alone and that we all face the same struggles. I have those struggles times four and can always make you feel better about your MOM FAILS by sharing mine. This piece is intended to not only make you laugh a little but to know that you are not alone. I’m not looking for sympathy or encouragement because I realize my problems are minute compared to the larger world. Today, I’d just really love to hear your MOM FAILS (for a good laugh) or tips on how to avoid mine. Really, just let me know how we can get Allison out of our bed?! There were lots of ups and downs this past week and true trials of a being a working parent. Let’s just say that the summer schedule is a wee bit busy with summer school, camps and planned fun on a budget (collectively catering to ages 7- 15) and we had our all employee summer summit (longer hours than usual). 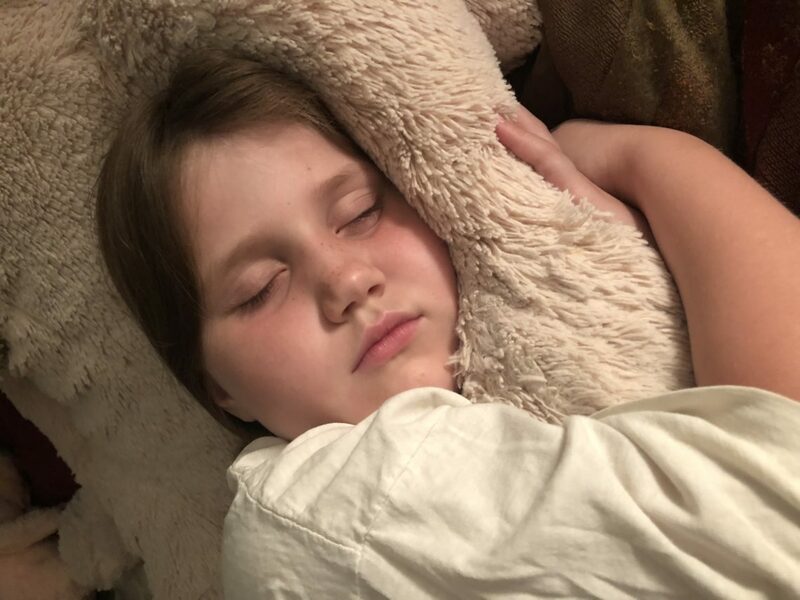 The week started out with a dentist visit that was anything but routine (think cavities) ended with a hot shot award at basketball camp and made a Country LakeShake dream come true for Maddi (plus I have three solid developers ready for offers – boo yah!). I strategically planned the dentist visit on my work from home day so I could zoom the kids but there were way too many high priorities at work to duck out during lunch. So I arranged for my summer babysitter, Mary, to take them. Some of you probably can’t imagine not being there at the dentist with your kids, I delegate and am totally cool with it (Mark did raise an eyebrow when I told him Mary was taking them). Plus Maddi is able to care of the younger kids if they get upset and responsible enough to understand their treatment plans. This is the benefit of having four kids – they care for each other as much as they fight. The love is not always obvious but it’s there. Anyway let’s get to the point, Allison has two cavities and has to have a teeth pulled. MOM FAIL. Everytime there is an issue at the dentist, I feel like a total loser mom. Alli drinks pop any chance she can, and I let her. The dentist lectured Maddi about drinking coffee and Mark was told he needs to brush better (Jeff had a sparkling report). Then I was a little late picking up for a carpool and the other mom offered to drive the girls moving forward. To me, I was fired from carpool. MOM FAIL. Bigger picture, this obviously helps me and the other mom was totally being considerate of my time. But I feel bad not being able to pull my weight by driving (working mom guilt). And …. Then Alli failed to move up in her swim class (perspective: she is seven with four year olds moving up and her siblings were all swimming well at her age). MOM FAIL. She won’t put her face under water. You see, Allison sleeps with me. Yep that’s right. You ask how does this relate? It’s a stretch (if you ask me) but Mark sees a direct correlation with her fear of putting her head in the water with not ever being alone. I’m not thrilled that she sleeps with me but I don’t really mind it either. Time goes fast and soon she’ll be off with her friends and not giving me a second thought. Since my seven year old baby sleeps in our room and Mark has been forced to the couch (he is 100% uncomfortable sleeping in the same bed with this daughter). It’s a constant discussion (lecture) about getting her into her own bed. I agree and promise that I’ll make a change but then I’m just way too tired to deal with it plus I’m gone all week working so love our time cuddling. Working full time with four active kids can be tricky. Having four kids is four times the fun and super rewarding, however, it can be challenging caring and making sure all four are where they need to be and making sure someone is there to cheer them on (or take care of their oral hygiene lol). Today, I managed to make it to the grocery store in between two baseball tournaments, grateful that my incredible neighbors fed us dinner and secretly (mum’s the word) happy that Mark (and Coach Mark) lost their game so we are home at a reasonable time. Now I’m planning out this week’s calendar, meal planning and crossing my fingers that it all works out. There are always ups and this week there were quite a few with an exciting week at work. I was able to visit with great co-workers from out of town, learned a ton, and spent some quality time with my team over a delicious dinner at Fire and Wine and had fun visiting family and friends at birthday and graduation parties. On top of that, my Allison (total baller) won the hot shot award at camp (I was not there since I was working), Jeffery’s team took second in this tournament, Maddi made it to LakeShake (again not there but thankful to my friends for taking her since I was at baseball), Grannie made it to the Pride Parade (again not there but thankful to my sister-in-law for taking her since I was at baseball) and my husband proudly represented the NorthSide5 at the league’s playoff today. As I finish this up, figuring out when Maddi will be home … Allison is by my side soundly sleeping. This feels like a MOM WIN! There is always tomorrow night to right this wrong. Jeffrey: Is it cold out? Me: No. Is it really hot out? Me: No. Allison: Daddy: Neighbors are her to play. Allison: Running towards the door. Me: Woha, get back her. You don’t have pants on and brush your teeth. (These cute little girls are always showered with fresh clothes and combed hair. I don’t know how she does it). Time to wake up the teens: Maddi, why? Mark, didn’t budge. Jeff: Can you make me oatmeal? Mom: No, it’s instant, read the box. You might say, it’s my job to make breakfast. I say, I teach independence. I have a blog to write! Maddi: What’s the plan today? Baseball, birthday party then graduation party. Mark: Wait, what? I asked you. We have batting practice at 5 p.m. Me: You didn’t ask me but I let you know. It’s on the calendar (end of discussion). Me: Can you please wear ankle socks? You have really nice ankles and are ruining it. Mark: No. Maddi: I’m not having a good day. Mom: Why sweetie? Maddi: Dad is annoying. Me: audit, audit, audit .. lol. Maddi: Not funny. Me: Listen just don’t facetime with boys in from your room. Maddi: What, why? That is so annoying. You are overreacting. Me: It’s just not proper so facetime is final but not from your room. Madd: You always overreact. Me: Me, LOL. I don’t think you truly understand overreacting … do you want me to demonstrate overreacting? Madd: Ugh no, fine.